Embroidered skin, post-apocalyptic Smethwick and potential rabbiticide — it's New Art West Midlands' annual region-wide show, and your detailed attention is exactly what it's demanding of. Yep, it's a mannequin wearing a gas mask. It's also a neo-surrealist sculpture made of found objects and specially planted blown-glass terraria. 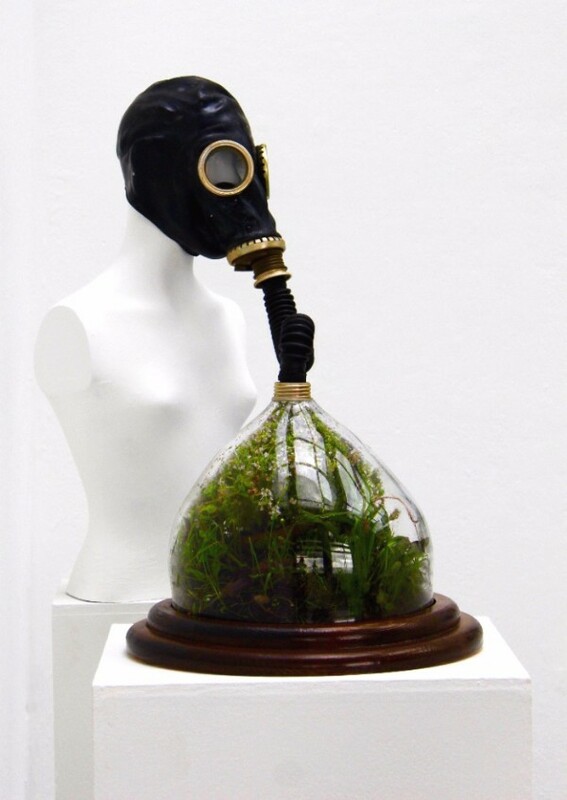 Future Mess (2016) is about a tomorrow in which human beings have used up the Earth’s resources to such an extent that they have created a natural environment in which it is impossible to breathe independently. Light, fluffy stuff then. The office was split 50:50 on whether to include this repulsive, yet intriguing piece. 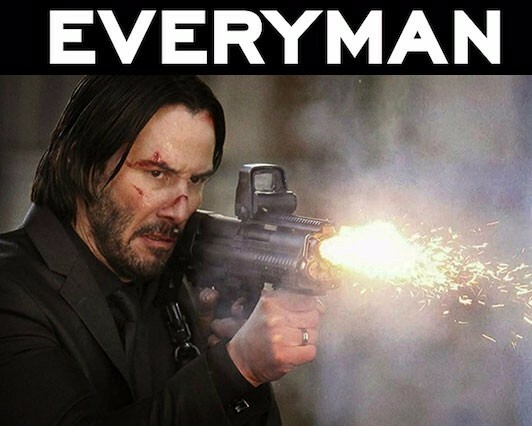 Following a super secret Kazakh style kick-boxing tournament, one person was fired, and an image of a human hand, stitched with embroidery thread appears before you. 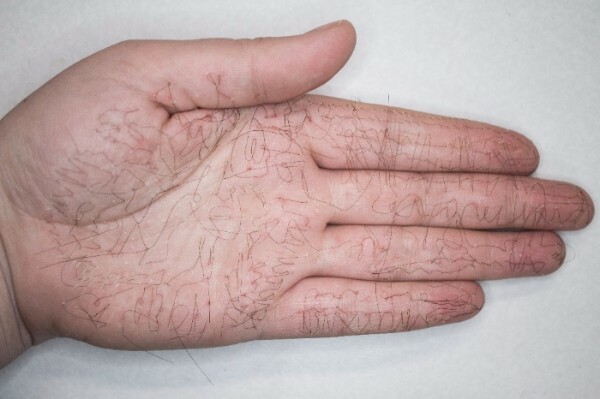 In what artist, Natalie Ramus, sees as an age of social detachment, centred around screens and virtual relationships, Hand Stitched (2015) uses visual shock to prompt viewers to reconnect with their bodies. We think. Ready for another dose of unsettling? Dreamlike and uncanny, The Circle of Nature (2016) includes a woman cradling a bunny, with a larger rabbit watching on. 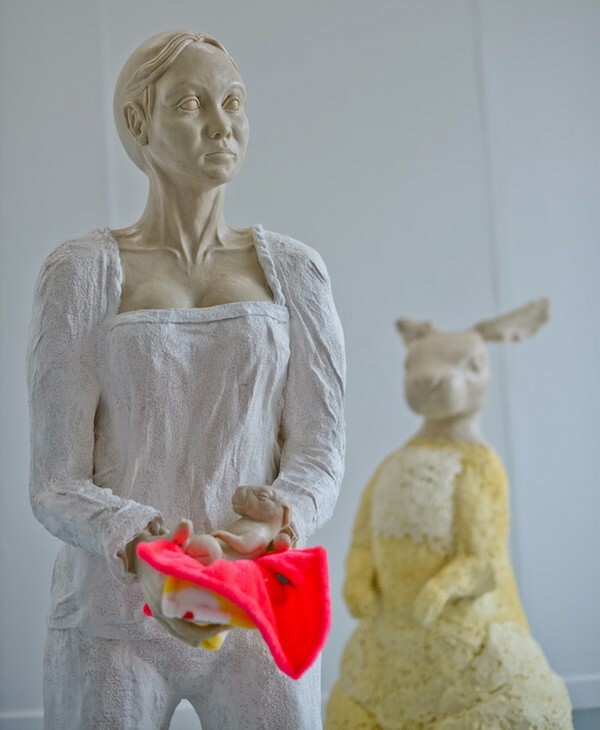 Alluding to Lewis Carroll’s Alice’s Adventures in Wonderland, Nash’s work explores the relationship between humans and animals – but she cunningly leaves it up to the viewer to decide what will come of the baby rabbit. Run, Thumper, run. It's Sandwell. Sort of. 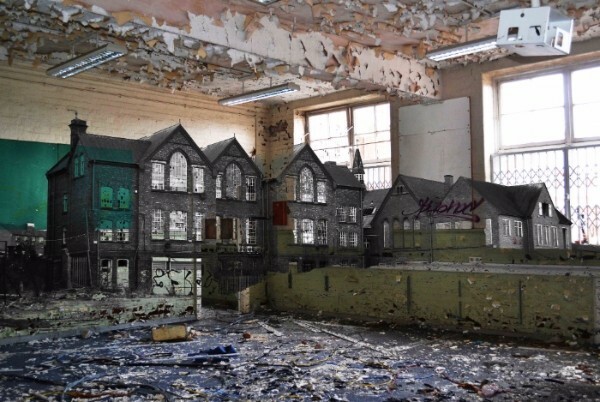 These digital photo-collages of an empty college in Smethwick stem from Seymour's fascination with abandoned buildings — whether a once glorious cathedral or the burnt out shell of a manor house. In Rebuild I (2016) the whole building is framed by its interior ruin: inner decay thus becomes the building’s landscape setting, with a sky of peeling ceiling, an abandoned projector for the sun and the ground a rubbish-strewn carpet. Anarchic looking, ain't it? NAWM runs from February 18 to May 14 at Waterhall Gallery, BMAG, mac Birmingham, Wolverhampton Art Gallery and Worcester City Art Gallery. Second runner-up in a competition our Year 4 teacher created exclusively for our class is as far as we got with the writing of poetry. It began "Encased in a tangled web of deceit..." and somehow got increasingly tortured from there. 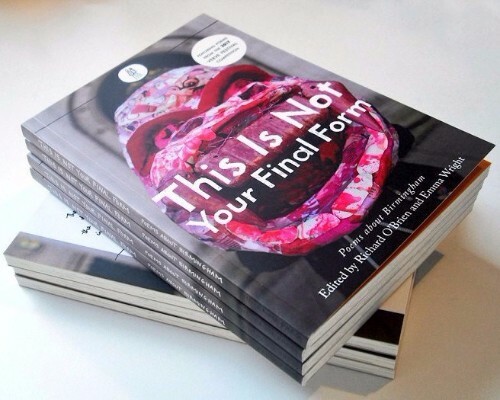 For an altogether more rewarding read, we recommend This is Not Your Final Form, an anthology of poems about Birmingham. Published today, the text features 33 sets of cleverly ordered words, plus illustrations including one of The River, rather better known as a certain Floozie in a certain Jacuzzi. She gets her own poem and everything. Order the anthology on the interweb, or pick up a copy in that little know bookshop, Waterstones. It's a tenner. Your 31st birthday falls on a Monday. Do you a) go to work (NO! 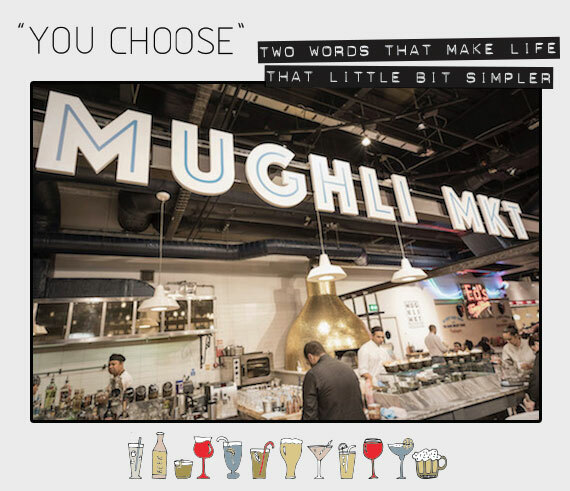 ); b) go to your second choice restaurant because your number one is closed; or, c) bounce like an idiot, and smile like you don't know what mortgages are? 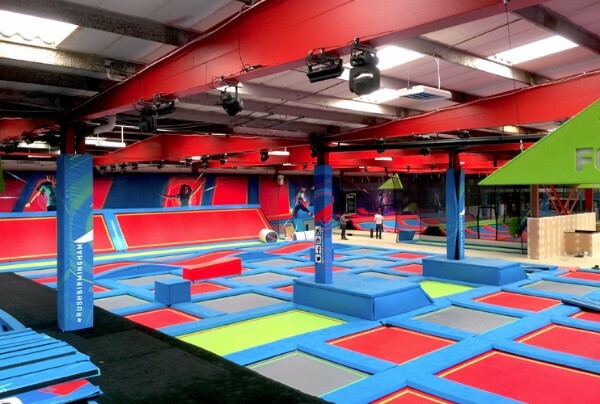 Rush trampoline park is huge and bright and has gladiator style duelling, a dedicated dodgeball enclosure and an assault course we could only truly complete one section of. 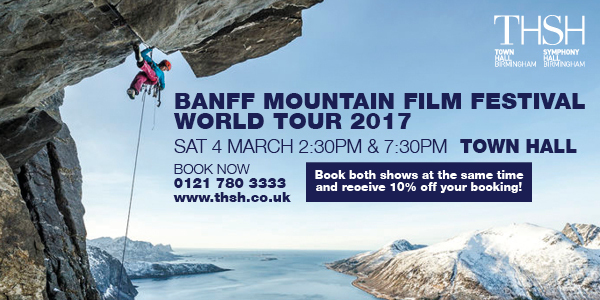 There's also plenty of trampolines, including tumble lanes if you were one of those kids who could actually do gym, plus a trapeze. Yes, there are lots of small people, but there's also zero judgment from staff — nay there's respect — for exclusively adult groups. Whatever you do do, just don't be that parent that's watching, not jumping. From £10 an hour, you can book online or just turn up at quiet times. You'll live to massively regret not completing the recommended pre and post-workout stretching.